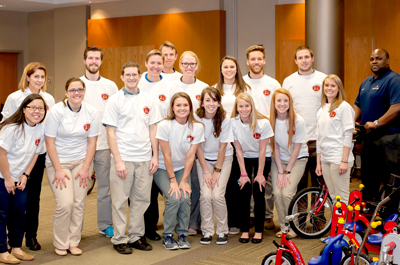 Does your student therapy program require charitable or volunteer hours? A student-lead Amtryke project may offer a great solution. 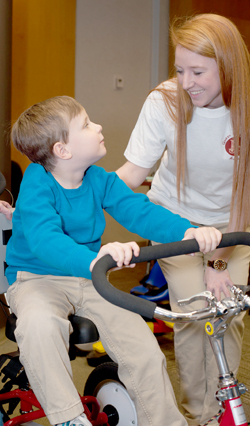 It gives therapy students a chance to use their skills, functions as a strong team-building exercise and is deeply rewarding. The whole project can be accomplished in just three steps. Choose & Evaluate Rider – Students can choose a recipient and use the skills they’ve built so far to evaluate the rider and fit them to the best Amtryke and adaptive accessories for them. Feel free to contact us for a quote so you’ll have a fundraising goal. Fundraise – Students can design and implement any sort of fundraiser(s) to fund their recipient’s tryke: a car wash, spaghetti dinner, bake sale, peer-to-peer, etc. 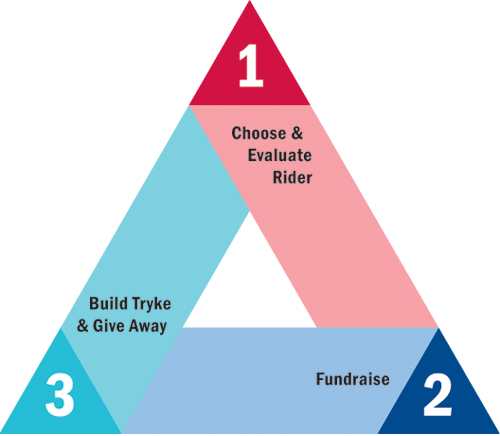 Build Tryke & Give Away – Assembling an Amtryke is a great team building exercise because it demands communication and team work. 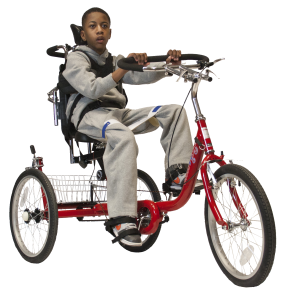 Giving the tryke away to the students’ chosen recipient is likely to be the highlight of everyone’s school year. There’s nothing like those smiles! Wingate University PT students at an Amtryke Evaluation Day. Work with your friends and future colleagues to create a look like this!